Here is a Drawing the Tiger update— Last month Amy went to Malaysia to screen the film at a festival and to show Kumar, the protagonist, the movie for the first time. She was nervous. Here is what happened. 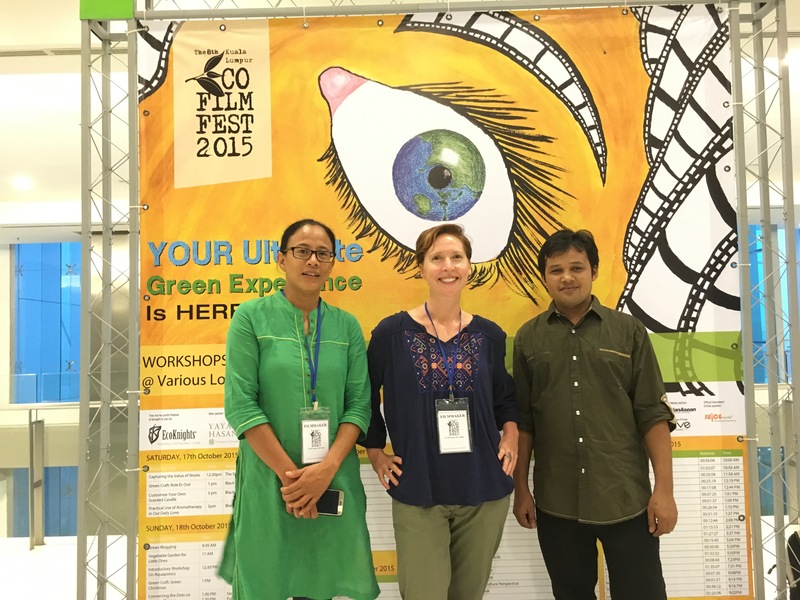 On Oct 12th I flew to Malaysia to see Kumar and screen Drawing the Tiger at the Kuala Lumpur Eco Film Festival. It was a big trip. 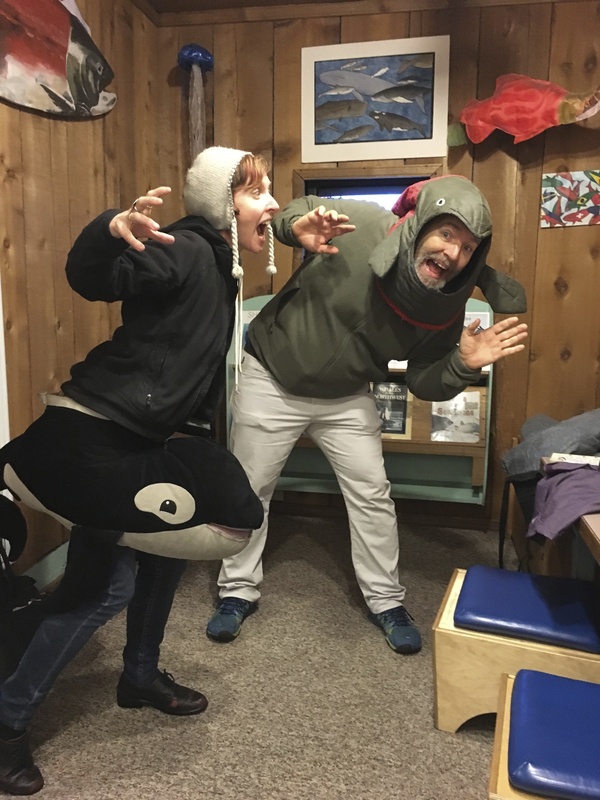 Before I left, I laid out my worries in this blog post.This is how it panned out in order of the aforementioned worries. Worry 1: What if Kumar doesn’t like the film? What if he feels he was misrepresented? Or, what if it is just too much? Painful? Embarrassing? I showed Kumar the film the night before we screened at the festival. It had been a long day following a series of long days. 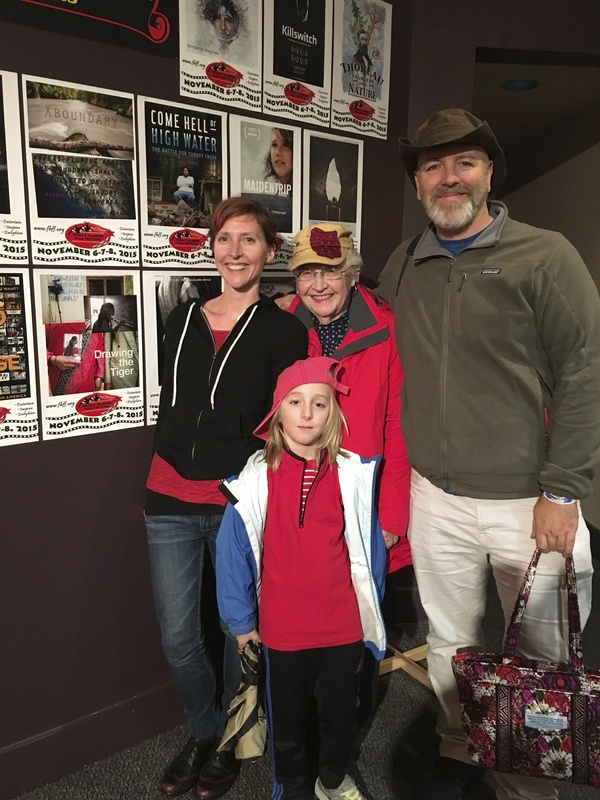 We went to the opening ceremony of the fest. It took place in this big fancy mall, like SUPER fancy. It fact, it was the fanciest mall I have ever stepped inside. There were Lamborghinis in the valet and a bunch of purse stores that had only 3 or 4 bags on display (all slight variations on the same shade of beige-pink), and a sleek, bored-looking saleswoman leaning on a counter in the center of them. It was jarring to be there with Kumar. 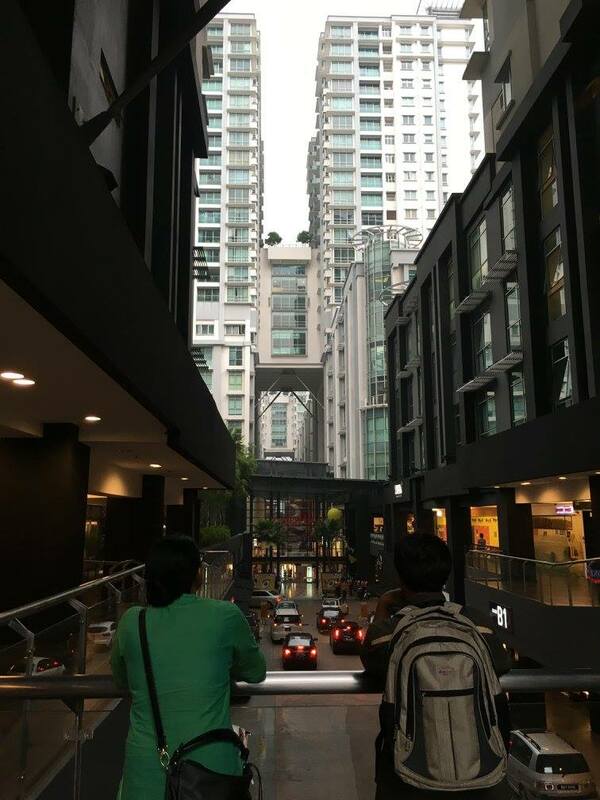 I wanted to be in his brain as we rode the escalators (a new experience for him) and looked in the windows of shops with single items that cost more than he has made the entire time he has been in Malaysia. The gap between rich and poor in Kuala Lumpur is more in your face than a face tattoo. Everyone at the festival was super friendly. There was a lot of networking. I was concerned Kumar felt uncomfortable, but he rolled with it all—lots of handshakes and introductions. A buffet. People taking photos. Ramyata stuck close to him to translate conversations while I dealt with logistics. We arrived back at our hotel tired and a bit hungry. 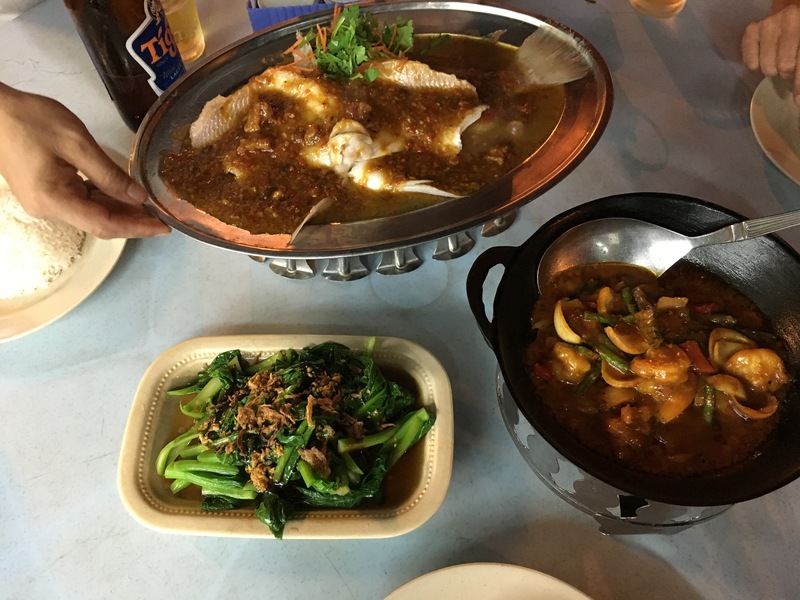 Ramyata ran out and got us some food (Yummy food is everywhere in Malaysia. Loved that!). I found myself too nervous to eat. Kumar was about to watch the film and I literally felt dizzy. 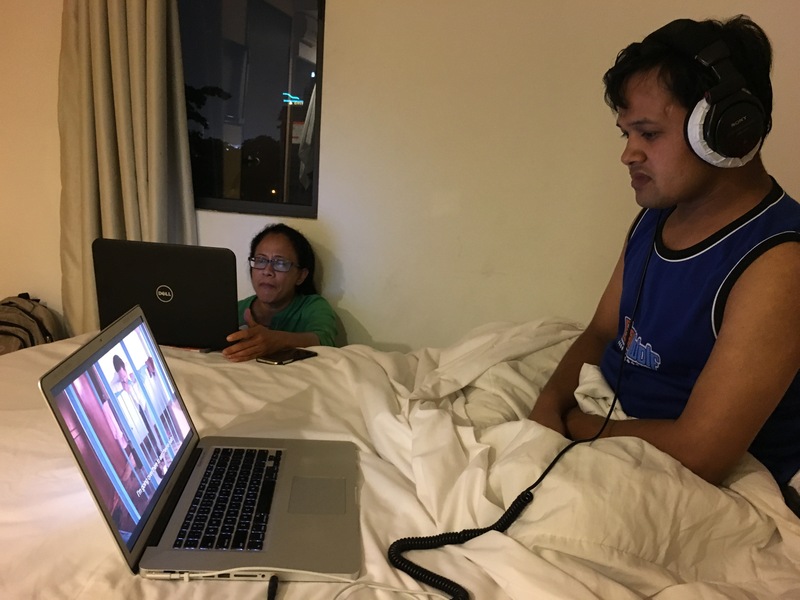 We set him up with the laptop and headphones. Then I hit play, and while Kumar watched our film, I just watched him. I couldn’t keep my eyes off his face. What was he thinking? Feeling? 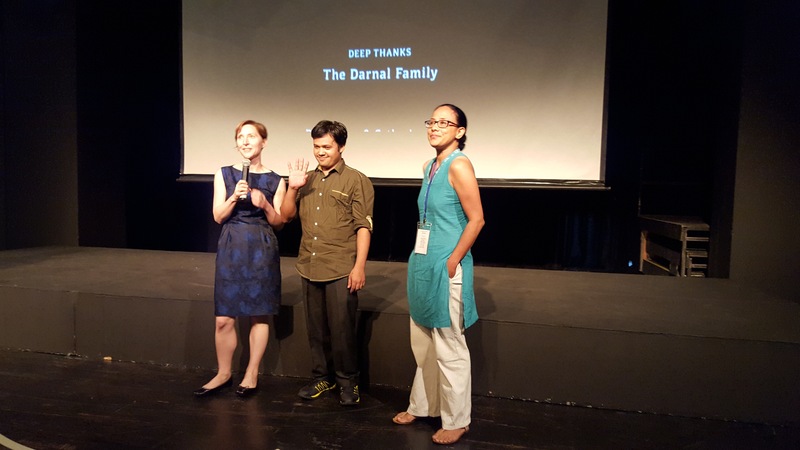 What would it be like to watch a film about YOU and YOUR family made by these foreigners that show up year after year with cameras and don’t even speak Nepali? Before now, he has seen nothing of our footage. He has never had the bandwidth. The literal bandwidth. So, I just sat there watching him for 96 minutes. Ramyata did work on her laptop. We both had a ton we were leaving behind at home, but knew this trip was important. We are spun from similar cloth, she and I. She did make me eat mid-movie. I never kept my eyes off Kumar’s face though. He smiled at the part with his family in the village. He winced when as he watched his mother mourn. He was totally still except for the moments when he moved his arm to have a sip of beer. He was completely engrossed. He talked a lot that night—about his difficult childhood— being so poor and things unstable. And then we watched some of the footage that Ramyata took when she showed the film to his family in the village last spring. It was footage from right after they watched the film. They all had been crying or were still crying. The bigness of that moment—experiencing the Darnals see their film— and the confusion about what it all meant hit me pretty hard. But I didn’t want Kumar to see me cry or make it about me, so I sucked in the tears as best I could and secretly snuck tissue. We just all sat on the bed and he talked and we listened. Ramyata is a gifted translator, but I so wish I could understand word-for-word. I must learn Nepali. I must learn Nepali. I want to talk with Kumar straight up so bad. 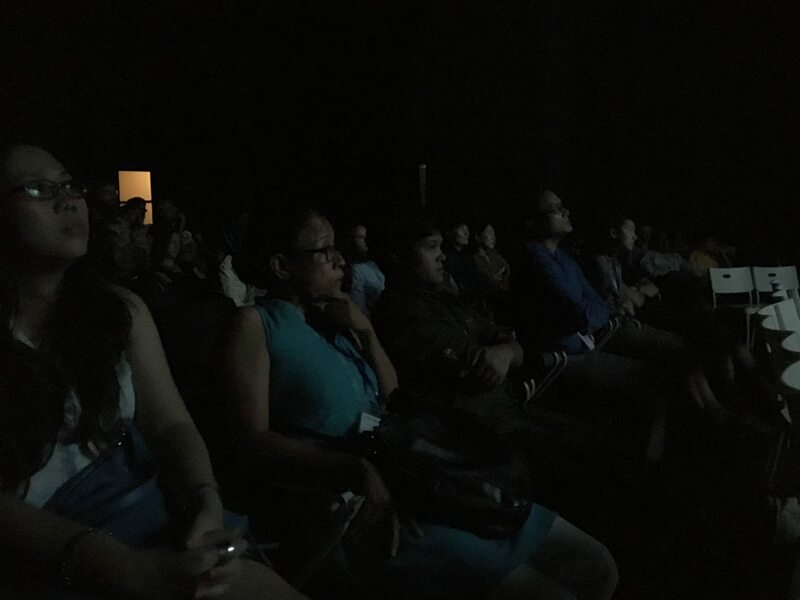 The next day at the festival, about 80 people showed for the film even though it started an hour late. 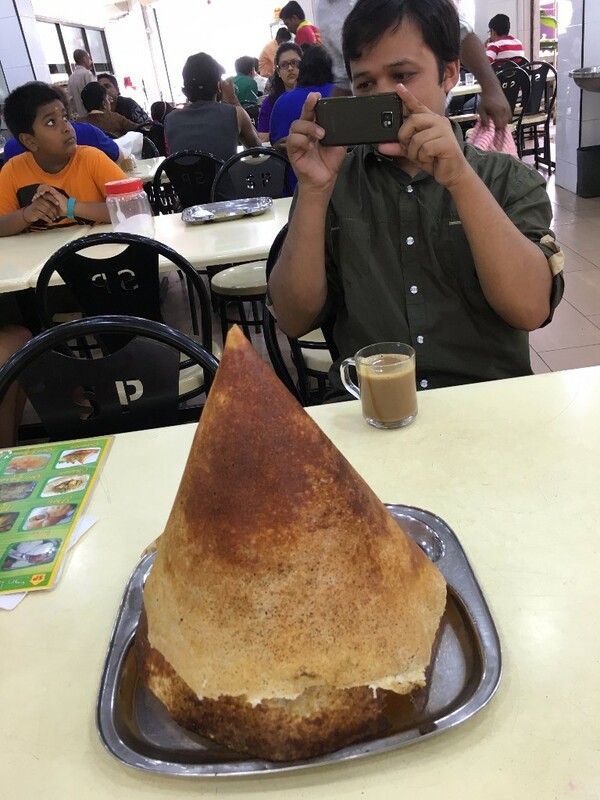 Time is on a different continuum in Kuala Lumpur, apparently. It buffed out. “OK, It is fine.” Kumar responded and Ramyata translated. There is so much we know he could say about his situation and did not, and it is understandable why he did not expand. He did not say he works 12 hour days for $9 per day. He did not say he is not making what he was promised or that he has been unable to pay off any of the family debt. He said it is OK, because even if he did not make money, he has had an experience. He has all his fingers and toes. And, very soon he will be going home. We said goodbye to the festival, the fancy mall, and ordered our Indian food in a daze. We did it. Drawing the Tiger in Malaysia! CHECK! 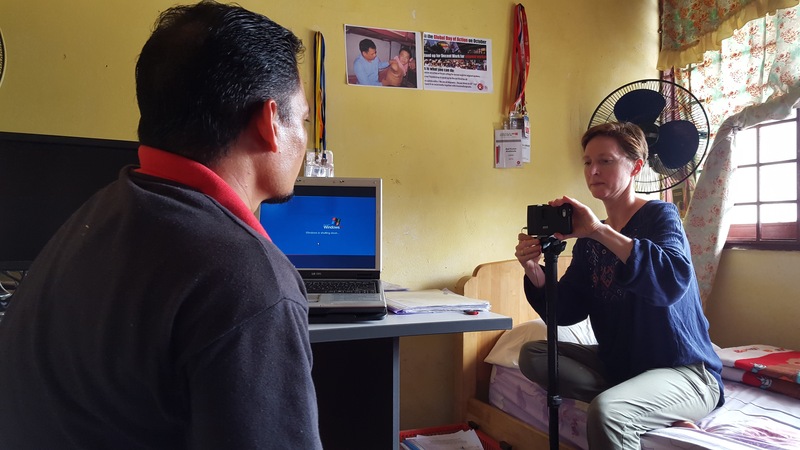 How will I balance my relationship with Kumar as his personal documentarian AND his friend? 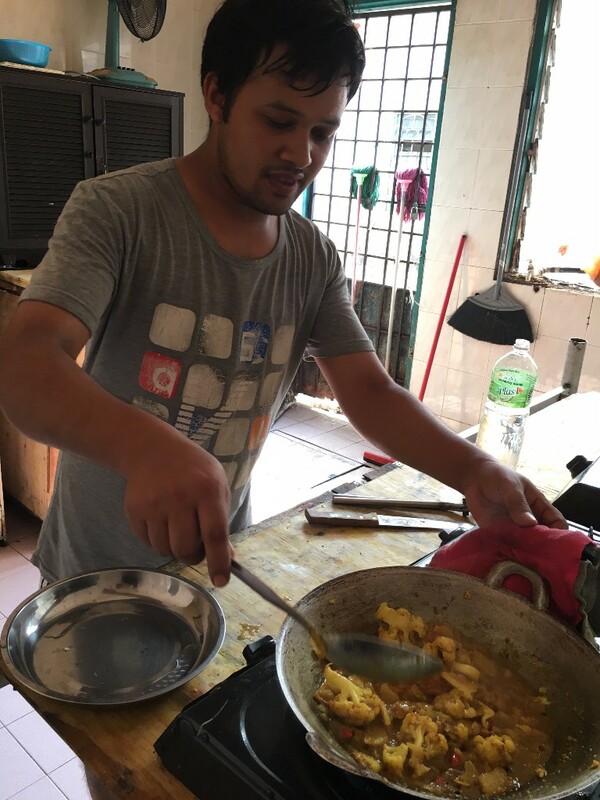 More on Kumar’s workplace: Before the festival, Ramyata and I visited Kumar in the tiny town where he works—a migrant work town about 90 minutes outside of KL. 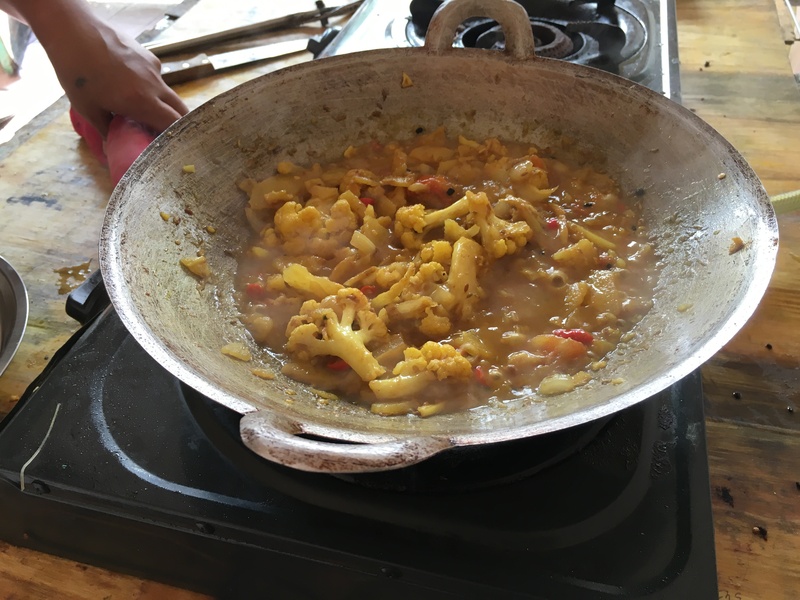 Everyone there was from Nepal (Approximately 900,000 Nepalis work in Malaysia), Pakistan or Bangladesh. They are all there to work in manufacturing companies of all sorts. Kumar casts airplane parts. His job seems horrible to me. 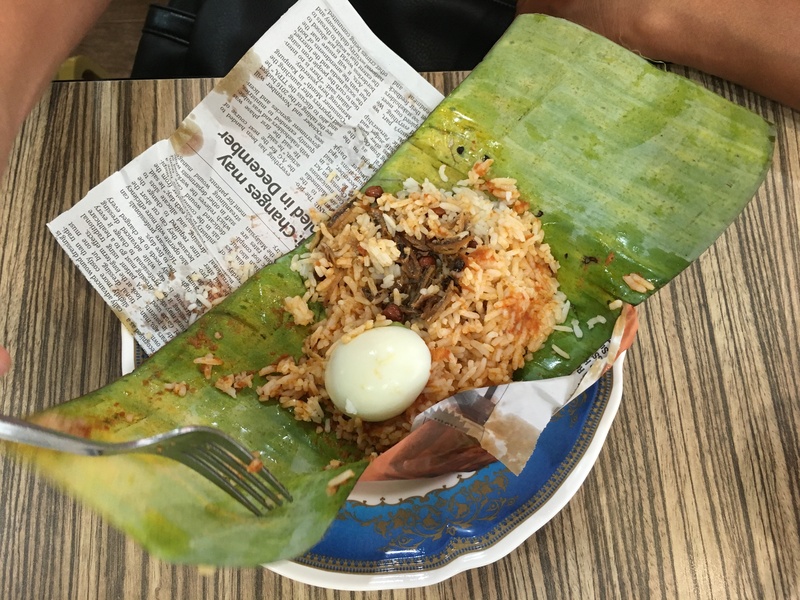 However, on the spectrum of migrant labor jobs I learned about in Malaysia—it is relatively not that bad. He gets breaks. They let him take days off to come to the city with us. They keep his passport, but supposedly they will give it back. Kumar pays for everything: rent, food, transportation (including his plane ticket). 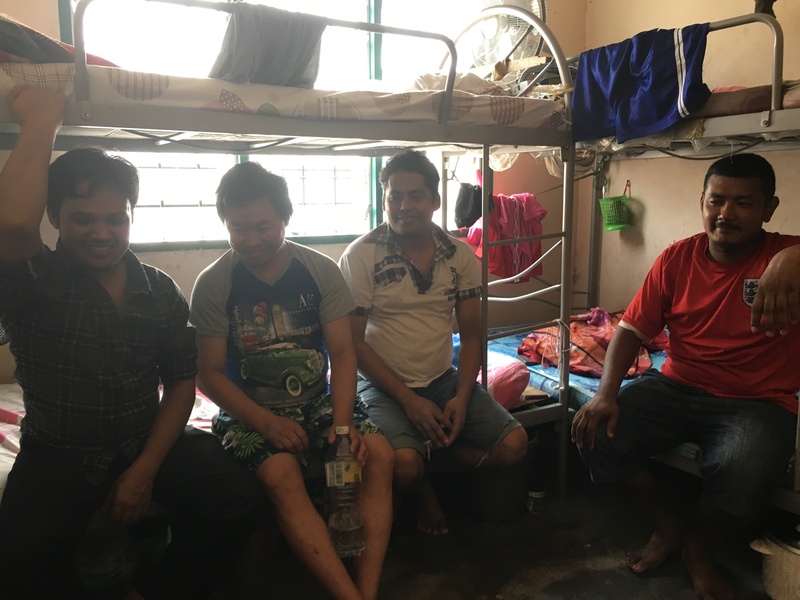 He lives in a dorm with 11 other Nepali men. There are three bunkrooms, a bathroom and a kitchen. I met and interviewed his bunkmates. They are sweet. They work, sleep and eat. In moments between, they are on their phones on Facebook. Some play volleyball in the town’s green space. It is always Nepali vs Nepali. The Pakistanis play cricket. I was not there long enough to learn what the Bangladeshis play. Kumar does not play sports. He does most of the cooking for the crew. The guy can cook. We arrived at his bunkhouse and I started filming almost immediately. It was like old times. I set Kumar up for an interview like we have done probably 9 times over the past 7 years. It just felt natural. He modeled how to be an interviewee for his friends. At this point, I was not sure of how I was going to balance documentarian and friend—It felt okay though. It was familiar for both of us. We were working. Worry 3: What if my new iPhone video camera setup fails me? What if I produce crappy footage, or nice footage with bad sound? The video set up was NOT smooth at all. I will never again be an early adopter. The deal was that the program I was using, Filmic Pro, had not been fully tested on the iPhone 6, because the phone and its operating system were both brand new. The app was still in prerelease state. I was calling Scott everyday to tell him the problems I was having. Then he would contact the Filmic Pro developers and then they would send me a new ‘build’. I mean—what I was doing was FRESH! In the end, it worked great. 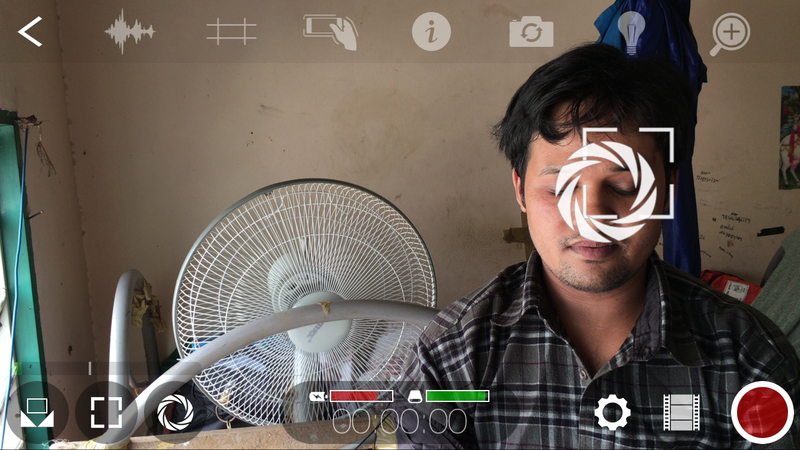 The compactness of filming with the iPhone allowed me to film a bit of the underbelly of the Malaysian Migrant Labor industry without being noticed. Well… I WAS the ONLY westerner in this entire town. So, maybe I was noticed a tad. As we were walking toward the bus to return to KL, I heard my name being called by all the kids I had met in my 30 hours of being there. “EMMMMYYYY!” The chorus. In the end, the footage looks great. I actually think we are going to use the iPhone again when we go to Nepal next week! Thank you Filmic Pro, thank you Apple! It just made me toss and turn a bit, but I kept perky. I think it was the adrenaline. Also, Ramyata is SO fun and easy to travel with. I love working with her. Everything just clicked into place. 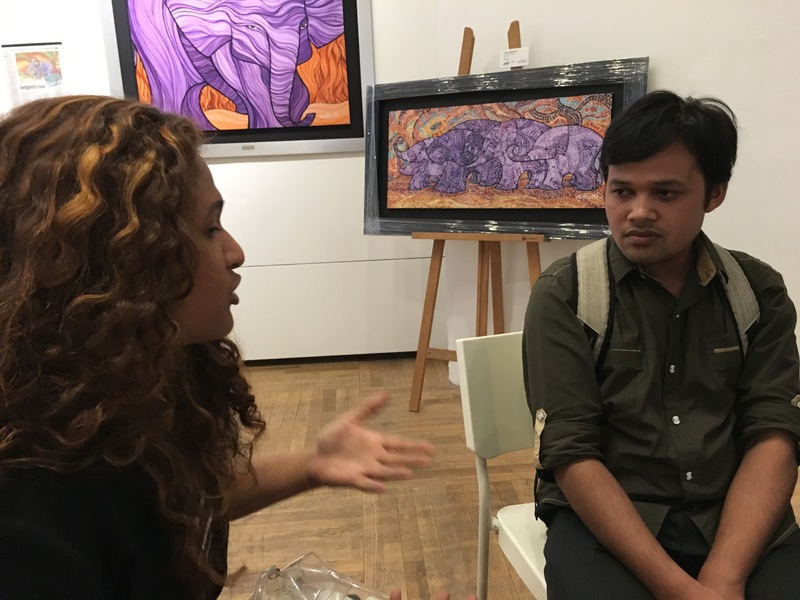 Worry 5: What if Malaysians don’t like Drawing the Tiger? Or, worse, what if people show pity for Kumar after the screening? They loved it. I felt their mad respect for Kumar. I am so excited to show it in Nepal!!! Nope. Not even a little sick, and I ate everything I saw! I think it was the adrenaline. Worry 7 (actually not a worry, just a bummer): I am really going to miss our son. I did miss him, but I was so busy it made it tolerable. Hale did not love that I was gone, but he loved the mask I brought him back. 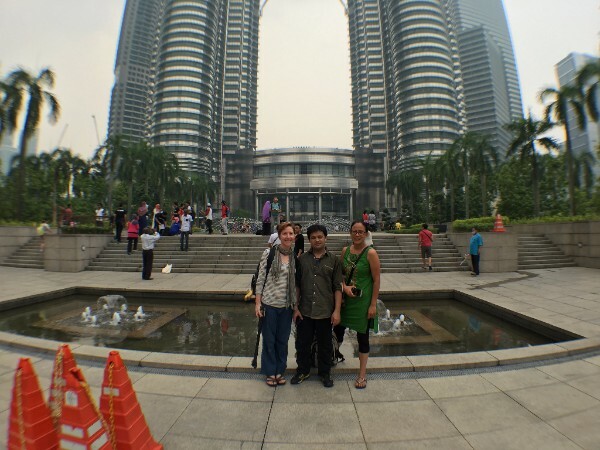 The best part of being in Malaysia, was just hanging out with Ramyata and Kumar. We were three travelers in a foreign country. We figured out the subway system together. We tried new food together. 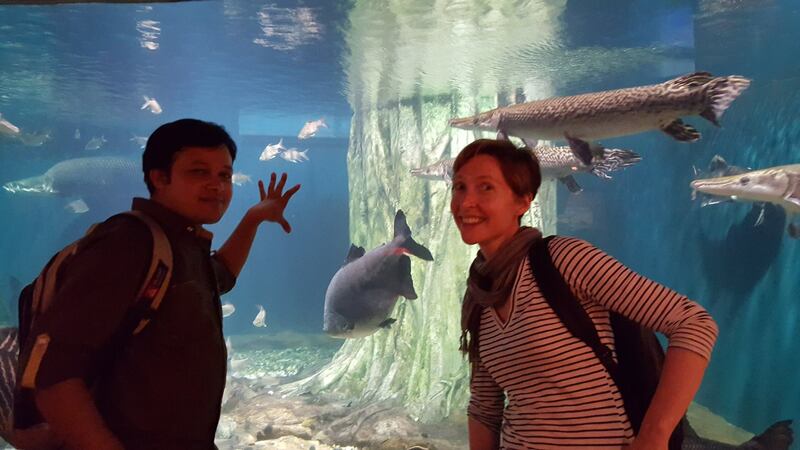 We made our way to the aquarium and looked at fish together. Kumar and I had a sweet and sad goodbye. At the time we thought we would not see each other for a very long time. Turns out, though, that we will see him in Kathmandu next week!!! We just learned that due to all Nepalis needing new passports by the end of November with those scannable chips or they risk becoming illegal, the company is sending all the Nepalis with old passports home (on their own dime). The company just doesn’t want to deal with the hassle. Kumar sent me the happiest emoticons ever via Facebook. I think he is super excited to come home and see his kid. We are so excited he will be there for our visit. He will get to represent the film again! 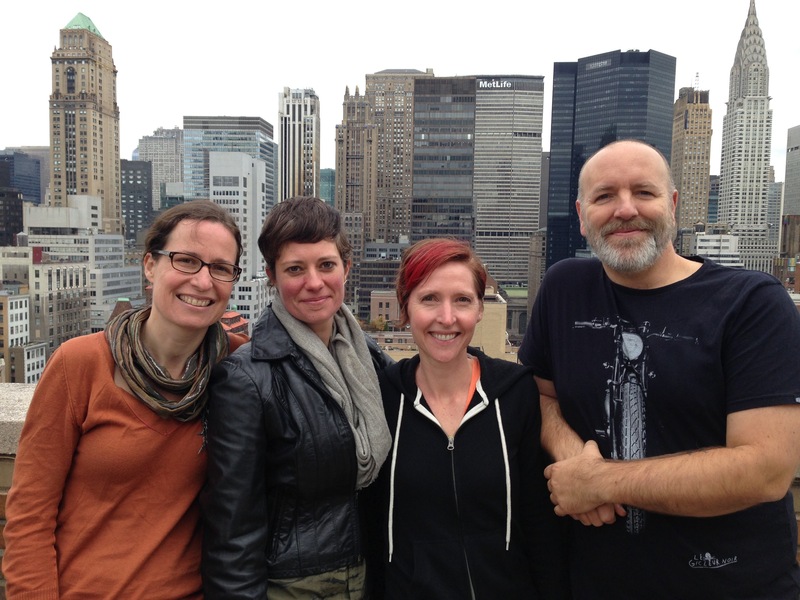 The next chapter: Taking the film to Nepal. 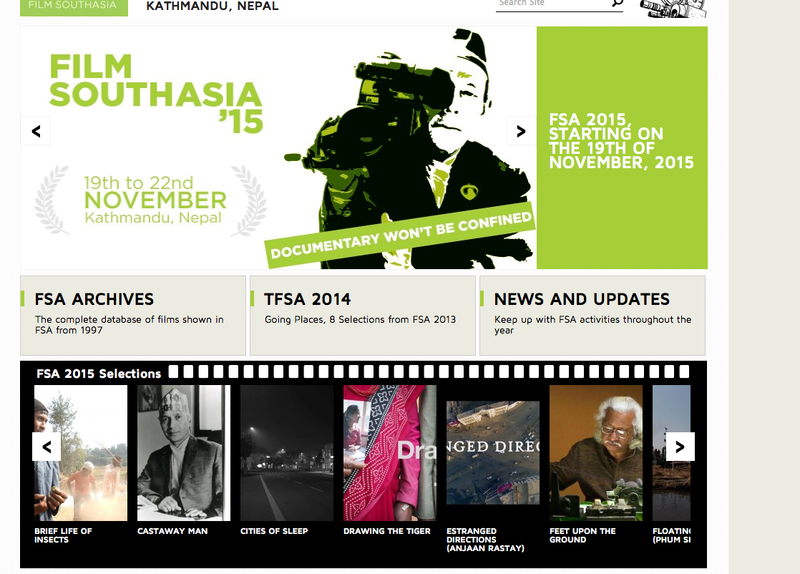 Drawing the Tiger has been selected to screen as the opening night film in Film South Asia as well as the Katmandu International Mountain Film Festival. Kumar’s parents and wife will be there for the premiere. AND there is a major fuel crisis. I am not even going to try to explain why this is happening right now. It has to do with politics and India. Don’t worry. I have a feeling I am going to learn a ton about what is going on in Nepal and we will fill you in. The straight skinny is—people are waiting in line for days, FOR DAYS, for a few litres of petrol at crazy prices. And, here in the states gas is as cheap as it was when I was in high school. Confusing and unfair. We will go to Nepal and tell you ALL! 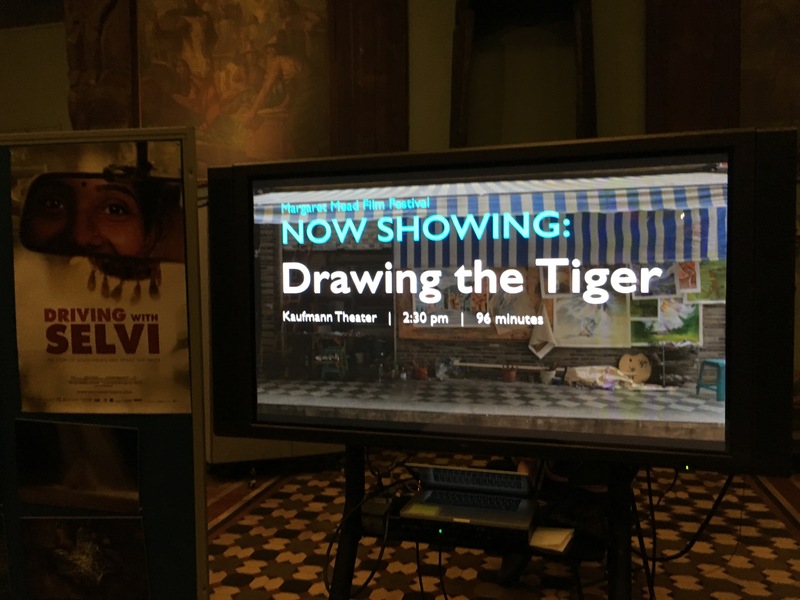 Here are some pics from Drawing the Tiger Screenings that just happened & screenings coming up! Drawing the Tiger on the a reader board. That felt exciting! Cork International Film Festival We were not there, but we heard it was really well-attended and we got some sweet notes from lovely Irish folks afterward! Now I can write Drawing the Tiger in Hebrew!!! Copyright © 2015 NonFiction Photography, All rights reserved.